Survivor Round Table: "Rice Wars"
Phillip may have dominated the episode and our review this week, but we're not going to let him dominate our Round Table. There's plenty more to talk about, such as the curious elimination of Julie over Steve. 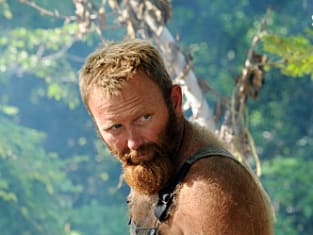 Or what about Jeff's emergence as a comedic presence on the show? As always, we love to hear from our readers. Would Julie have been your choice to vote out over Steve and Ralph? Kyle Kalember: No, I would have voted Steve out. If you are Rob you need to keep Phil around until the end and the best way to do that is to make him seem less crazy. Steve and Phil still must have some tension and it can't be all good no matter how good the "therapy session" was. Jane Murray: I was surprised they voted Julie off. Has she been a tougher competitor than Steve or Ralph? Does she have a chance to beat Matt? I guess at this point Rob assumes it doesn't matter and will just get rid of them systematically. It still surprised me. Luke Dwyer: I don't think it makes much of a difference at all who was sent home, but my guess is that the ex-Ometepe members voted out the person they felt was most likely to play the game. Steve and Ralph seem less interested in trying to stir the pot. 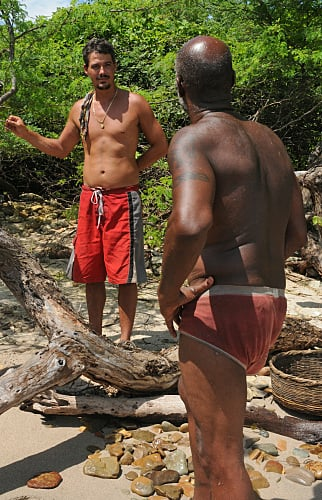 And based on Julie taking Phillip's shorts (which they didn't know going in to tribal council) they were right. Or perhaps you'd vote out Phillip instead? Kyle: Nope, he is gold in the finals. Nobody would ever give him a vote. Jane: Wow, Phillip really took it to a whole new level. Unless there was some really fancy editing, I'm very confused how he made it about race. Also, how did he think that he was making a logical argument about putting the rice in their container when the two tribes hadn't been sharing since the merge. His justification that he was making a logical argument and that Steve called him crazy, is well, crazy! I can't wait for Jeff to bring this up at the reunion show! 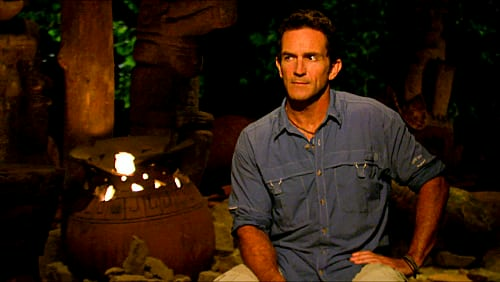 I would vote Phillip out, but if you're Rob, keeping him is brilliant. Luke: At some point Phillip cross the line from being the perfect candidate to take to the final three to a loose cannon who's completely unpredictable and could ruin everything. We got a small glimpse of Boston Rob contemplating as much this week, but ultimately not acting. I don't think Boston Rob and the Ometepes can let Phillip stick around until the end. Did Julie do us a comedic favor or visual disservice by hiding Philip's bathing suit? Kyle: Both, those drawers are getting droopier and droopier by the day. I can't wait to see what happens. I was giddy as Julie buried them in anticipation of what comedic gems this might give us. There won't be much left if he lasts until the end. He might have to fashion some underwear out of buffs and feathers. God help us if that day ever comes. Jane: Visual disservice. The idea behind it is hilarious, and really there is no better way to get to a crazy person than by moving their things. However, now we are forced to view him in his pink underwear all of the time! Not worth it! Luke: As a man, it is really hard to look at Phillip on the screen. I can only imagine how horrifying it is to see in person, particularly for the women. The irony is that the biggest eff you Julie could have pulled off before being sent to Redemption Island was to force everyone to look at a barely clad Phillip. Do you prefer duels or trials (3+ person challenges, as David dubbed them)? Kyle: I don't really have a preference. I'm just hoping something crazy happens with these challenges or the re-entry of the champ. Jane: I'm over the duels and trials all together. I haven't seen any value so far. Whichever contestant makes it through will be voted off. Luke: The first trial was great and actually competitive. The only duel that was truly competitive was when Matt and Russell faced off. If the next trial is as competitive, my money's with the trials. Dr. Phil or Dr. Jeff? Kyle: The whole racial edge that Philip added to the entire episode was just uncomfortable. Jeff needs to be sarcastic and biting, not Phil-like. There is already enough Phil to go around. Jane: I appreciate Jeff really trying to understand the issue and help diffuse the situation. He's much better than Dr. Phil! Disclaimer - I've acutally never seen Dr. Phil, but can anyone top Jeff? He's so good at his job! Luke: Jeff's handling of Phillip this season should go in a reality host instructional manual. He's managed to sarcastically egg Phillip on without Phillip realizing that he's subtly being made fun of by Jeff. For all of his psychological knowledge, there's no way Dr. Phil could figure that out. He can only use his powers for good. Redemption Island, Part 2, let's do it. And then, curveball. Permalink: Redemption Island, Part 2, let's do it. And then, curveball. I haven't really figured Philip out. I can't figure out how anyone can be that strange.